2 different confirmation mails - Which one to choose and when? 2 different confirmation mails – Which one should I choose and when? In this blog post I will try to clarify which confirmation mail applies to what in the system. 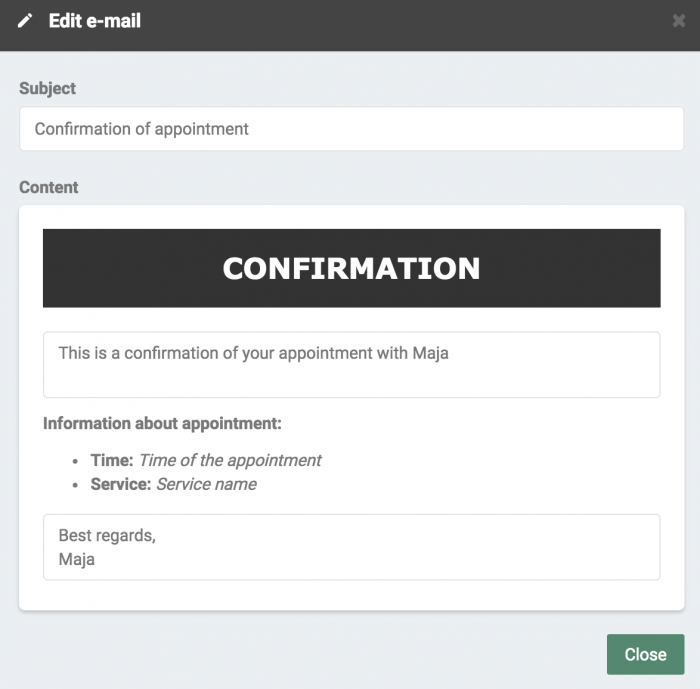 Maybe you have already noticed that there are two options in terms of send a confirmation mail to your clients. Case 1: The first scenario is an Online Booking. The client himself has booked a service and a time online. 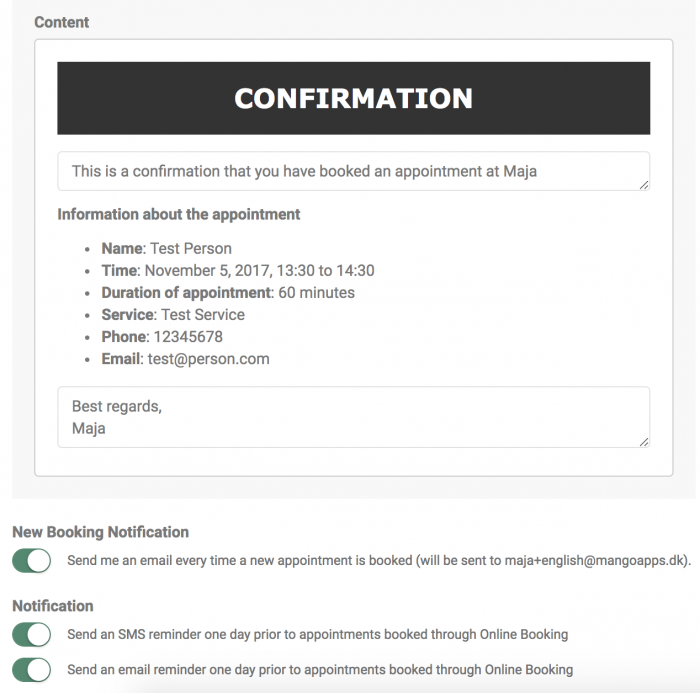 Then if you wish to send the client an automatic confirmation mail, you go to “Settings” -> “Online Booking” -> “Confirmations, Notifications and Reminders”, and activate it. Case 2: The practitioner books an appointment with the client in the calendar, and there not using online booking, the confirmation mail in this case can be activated under “Settings” -> “Calendar” -> “Automatic Confirmation” and then the client will also receive a mail every time you book an appointment with the client in our calendar – and of course, the confirmation mails will be sent automatically.